I have a new iPad! I have been using one at work for over a year, and honestly, I fell in love. However, now that I have one for personal use, my mind is spinning with ways to use it for more than just “surfing” the web or playing games. 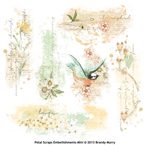 Being an avid digital scrapbooker, I recently decided to try my hand at scrapbooking on my iPad, but first I had to figure out how to get my pictures and some of my cool Scrap Girls files on my new tablet. That’s where an app called Dropbox comes in. On a computer, Dropbox is a free program that you sign up for and install by going to https://www.dropbox.com/. On a phone or tablet, it is also a free app. At initial sign-up, a user gets 2 GB free, but the more you use it, the more storage they give you. It is probably the easiest app I have ever used. Just follow the directions at the site, and Dropbox will walk you through the rest. Tip: Be sure to use the same username and password on all your devices. After installation, Dropbox puts a little blue “Dropbox” on the desktop. This box is a lot like a giant folder, but allows all kinds of files, both big and small, to be shared across all of your devices including Scrap Girls folders of supplies. Double-click the blue box and it will open up the program. On a PC, the little blue Dropbox will also show up in thebottom right of your toolbar. On a Mac, the icon shows up in the upper right corner of your desktop. Use either one to drag and drop files from your computer into Dropbox so that your tablet or smartphone can also “see” and use those same files. Once you have signed up and installed Dropbox on your computer, phone, or any other device, then the fun begins! 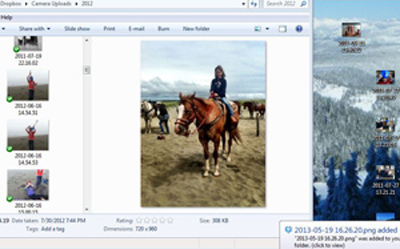 First, Dropbox allows enabling of camera uploads to all of your devices, like I did on my daughter’s iPod below. 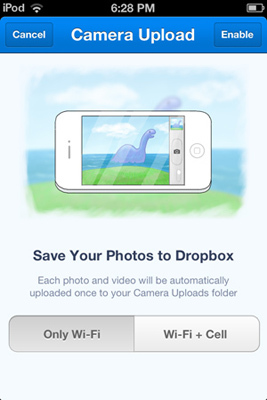 Once the app has found the photos on one device, the pictures will start to appear on all of your devices with Dropbox. Just open the Dropbox icon and the photos will show up there under Camera Uploads as seen below. In addition, Dropbox can hold Scrap Girls files from your computer to transfer to your tablet later. 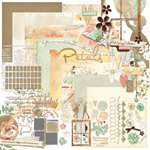 To do this, just create a new folder in Dropbox on the desktop and copy the supplies from your computer’s Scrap Girls stash to the Dropbox folder. 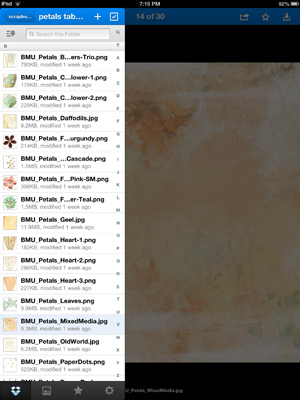 Once in Dropbox, the files show up in all device locations as seen below with Brandy Murry’s Petals Collection Biggie and my iPad. The great part is there is no need for cords or memory cards. Just open the app on any device and watch the uploads start from one to all the others. It even works on photos made in Instagram or another photo app. Because I installed Dropbox on my kid’s iPod, too, I end up with fun pictures they take of things they love, such as the first time my daughter went horseback riding with friends. 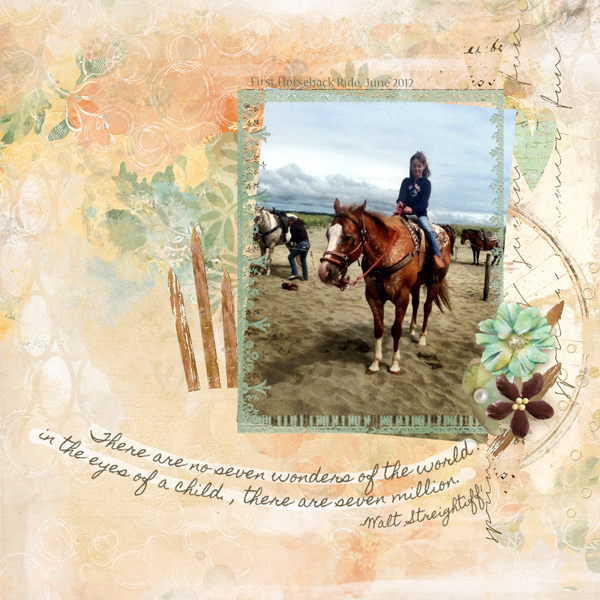 After placing the horseback riding photo and Scrap Girls supplies in my camera roll, they are easily accessible to work a little digital scrapbooking magic later. So give Dropbox a try! If you are looking for ways to share supplies and photos across multiple devices, it is an easy and free way to organize and store your photos and Scrap Girls materials!